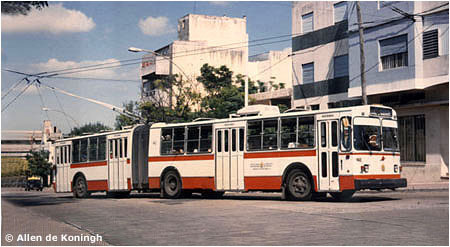 In 2000 the operator, Trolecor, acquired 16 new vehicles from Norinco in China. 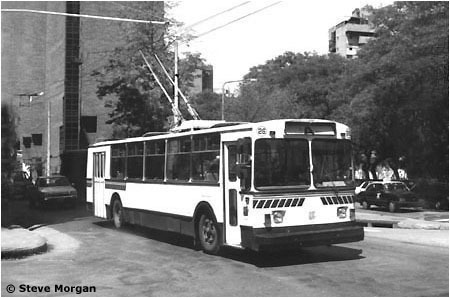 Lucio Peñaloza photographed number 45 at the depot in February. 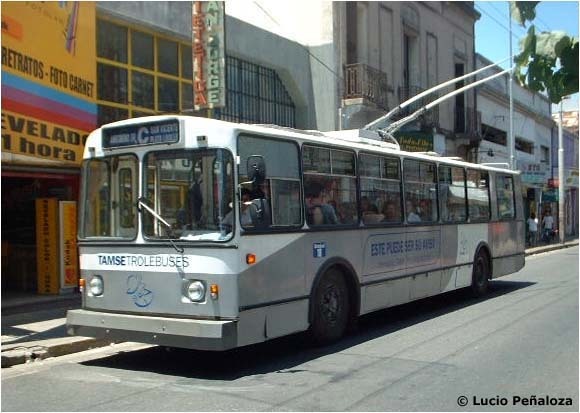 The Chinese entered service on 29 February 2000. 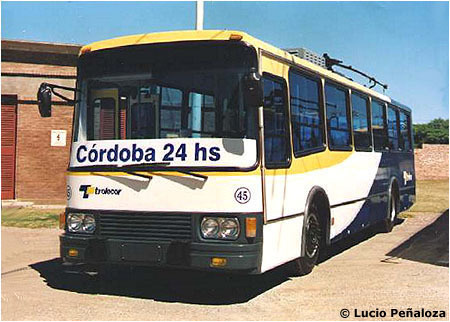 The slogan reads "Breathe pure air . 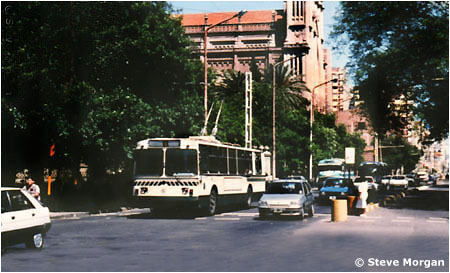 . . Take a trolley". 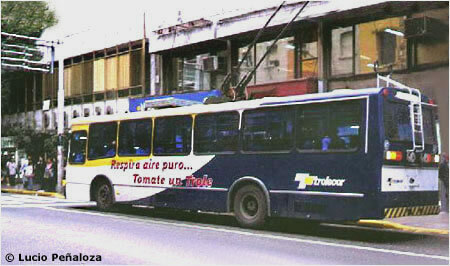 Trolecor 49 was photographed by Lucio Peñaloza. 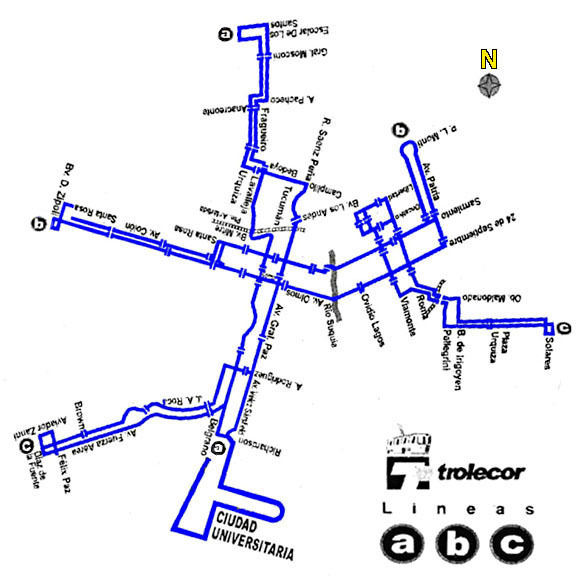 In November 2000 Trolecor extended route "a" to the Ciudad Universitaria and issued a new route map, supplied by Lucio Peñaloza. Too bad it was lettered upside-down!